Mechanical/Manual controllers are fully manual meaning you must set them yourself with switches and a manual clock. They are less susceptible to power surges, but they lack in features. You still run the risk of overwatering when it rains as they do not have a rain sensor. Digital controllers are a step up from mechanical and make irrigation set up a little easier. They come with digital displays and settings and usually have rain sensors to help during the rainy season. They, however, are not foolproof against overwatering and cannot measure how much water your landscaping has received themselves. Smart controllers are the most advanced. Once programmed, these Pt. 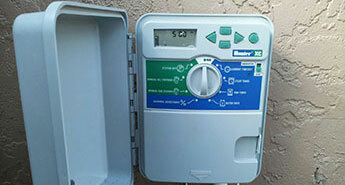 Charlotte Irrigation Controllers do not require much attention and are adaptable to the environment’s weather patterns. Some even auto adjust their watering schedules throughout the year. The dry season in Pt Charlotte puts a lot of stress on lawns and landscaping. 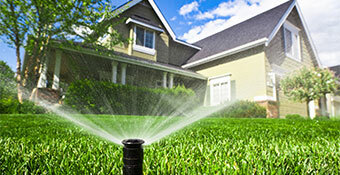 Water restrictions leave homeowners with a dilemma of keeping their plants healthy while complying with restrictions. The professionals at Coastal Irrigation & Plumbing can suggest which Pt Charlotte controller would work best to meet your needs and budget. Irrigation controllers can be installed and programmed by our professionals to ensure compliance with local watering restrictions and a healthy lawn. We also offer a worry-free annual maintenance plan for your entire irrigation system called CoastalCare® that keeps your irrigation systems operating efficiently and reduces expensive repairs. Fully licensed, bonded, and insured, for servicing both homeowners & business owners throughout the Pt Charlotte area, our design professionals and technicians offer repairs and replacements on most brands of Pt Charlotte irrigation controllers along with a variety of solutions to meet the demands of Florida’s outdoor environment. For help with your Pt Charlotte irrigation controllers, please complete our online request form or for the fastest response call (941) 473-8772 today!